Google has been quite the busy shopper this week. After picking up security firm GreenBorder Technologies and photo-sharing site Panoramio they’ve now announced the acquisition of RSS company FeedBurner. We’d reported on this already as being a confirmed rumor talked about by TechCrunch. You can read more about this via a post on FeedBurner’s blog. 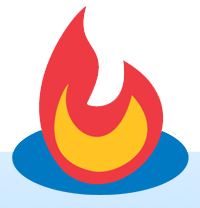 TechCrunch reported that Google is indeed buying Feedburner for $100 million. “Feedburner is in the closing stages of being acquired by Google for around $100 million. The deal is all cash and mostly upfront, according to our source, although the founders will be locked in for a couple of years. The information we have is that the deal is now under a binding term sheet and will close in 2-3 weeks, and there is nothing that can really derail it at this point,” Michael Arrington, founder of TechCrunch posted.